Welcome to the fourth issue of our Scent newsletter. As spring is turning into summer, we would like to update you on some of our activities from the last few months. In this edition, we introduce the Scent Charter focusing on what Scent means to you and to others. We also describe how we are getting ready for the upcoming Scent pilots set to start in August and September. You’ll be able to get involved before you know it! In this issue, we also explain the role and function of our crowdsourcing tool in the big Scent picture. In addition, we give you an idea of the nature of our image analysis work and the opportunities it offers in terms of mapping the environment. Enjoy the Scent of spring and stay tuned for details on how to join our activities! What does Scent mean to you? We invite you to participate in the shaping of the Scent Charter. We would like to capture your associations with the project, your Scentiments. To contribute to the Scent charter, follow us on Twitter or on Facebook to find calls for submission to the Scent Charter. Choose one or several words you associate with Scent and send it to us using the hashtag #ScentCharter. The image below represents our initial Scent Charter cloud. Let’s shape it together! The Scent partners are getting ready for the pilots! Preparation for the Scent pilots in Kifisos and the Danube Delta is in full swing. 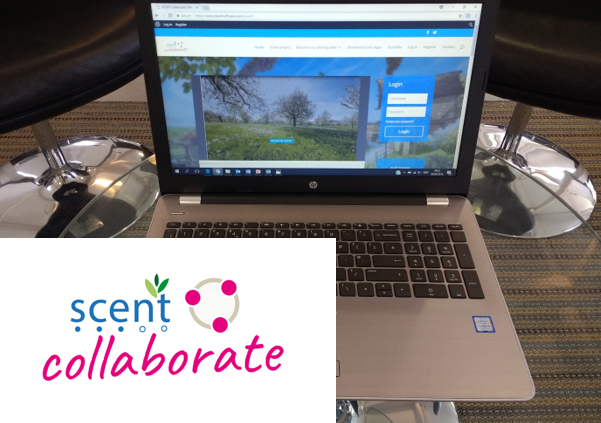 The Scent team is busy creating the time plan and planning the drone flights, the workshops and the training and dissemination material as well as the user engagement strategies to create impact in both pilots. In the Greek pilot area, the planning is coming along smoothly. The main points of interest, the detailed pilot map and the action plan of the volunteer workshops and the campaign dates are being refined. The associated volunteer workshops are being planned in terms of their locations, the agenda, training material, duration, catering, partner presence and other aspects. The user engagement strategies are being defined in terms of the specific target groups and the channels to reach them. As far as the Danube Delta pilot is concerned, the planning is proceeding similarly to that in the Kifisos Pilot. The time plan has been set out and the drone flights and associated arrangements, the workshops and training and dissemination material and the user engagement strategies have been planned. The points of interest of the pilot area, the pilot map and a detailed action plan of the volunteer workshops and the campaign dates are close to being finalised. Details on how to get involved will be shared on our website and across our social media platforms soon! CROWD plays a multifold role in the big Scent picture. On the one hand, it allows local authorities to configure and manage crowdsourcing campaigns, define points of interest where pictures and measurements are needed, and monitor in real-time the pictures collected by citizens and the issues reported. On the other hand, it manages the complete lifecycle of citizen-generated images. Once a citizen takes a relevant picture using the Scent Explore app, the picture is sent to CROWD. CROWD stores a copy of the image on the cloud and makes it available to the Scent artificial intelligence ‘heart’ (the SIE), which uses advanced machine learning techniques to automatically understand what is in the image. The annotations are fed back to CROWD, which is in charge of deciding whether the ‘quality’ of the annotations is sufficient. If not, the image is made available for being further annotated, this time by people, through the CAPTCHA plugin or the Scent Collaborate app. “One fundamental aspect of CROWD is its ability to combine artificial intelligence and human intelligence in a holistic way. When users upload a picture, they can describe what they see in the picture. We then use AI, provided by our partner IBM, to double-check whether the users are accurate or whether they miss something relevant for Scent. But if there are inconsistencies, or the machine just isn’t sufficiently sure about what’s there, we revert to humans for checking whether what the initial user and the machine said was right. This combination of artificial and collective intelligence is a distinctive factor of Scent, and something that puts us in a unique position with respect to alternative solutions,” Dr Miorandi explains. The current prototype will be used this summer in the first wave of piloting activities. “There are still a bunch of things to be fixed, but we are confident our engineers and software guys will sort them out by the end of June, well in time for making it for the pilots in Romania and Greece“, Dr Miorandi adds. 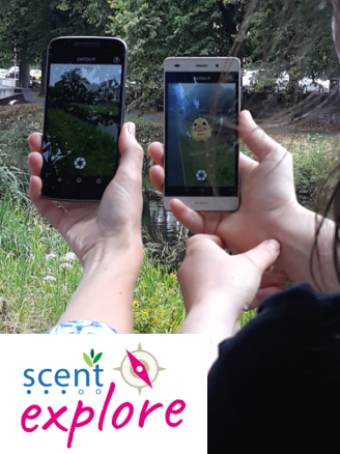 Scent researchers are building Deep Neural Network models for analysing the environment. 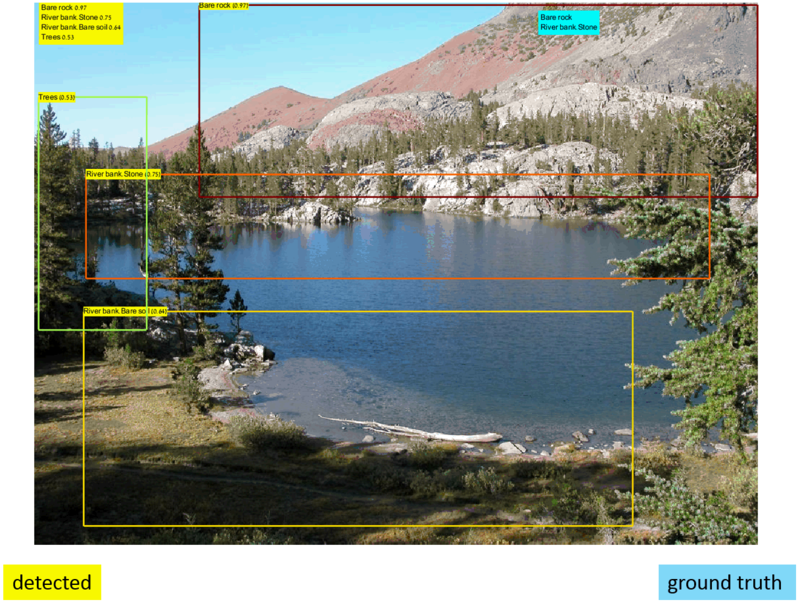 These models can automatically detect natural objects and scenes like the ones in the example below. Analysing these kinds of natural images is very challenging, even for the modern computer vision systems. First, the boundaries of natural scene-objects are not so well defined and quite subjective. We can for instance all point at the river bank set in stone, but can we define its location more accurately? Second, the visual variability of these objects is huge and labelled examples are scarce. Modern vision systems use sophisticated deep neural network models requiring a large number of labelled examples to train. In Scent, we are developing methods to achieve the same or better results while requiring significantly less examples. Reducing the training effort for our models will also allow them to improve continuously, after they are deployed in the field, making them better and better as they are being used. Having the ability to analyse the community photos taken in various locations over a geographical region will allow for mapping the environment in this region. One of the cool applications of this would be feeding these maps into sophisticated geophysical models that will for example be able to predict (and help to prevent) flooding or other natural disasters. Welcome to the third issue of our Scent newsletter! We hope you have had a great winter so far. This Winter 2018 issue is published exactly halfway through the project. 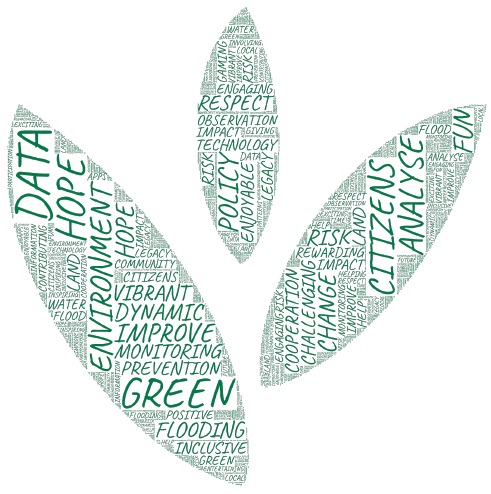 It includes recent highlights and focuses in particular on our online presence, our involvement in bringing citizen science to the mainstream and on our latest work on hydrodynamic and hydrological models. 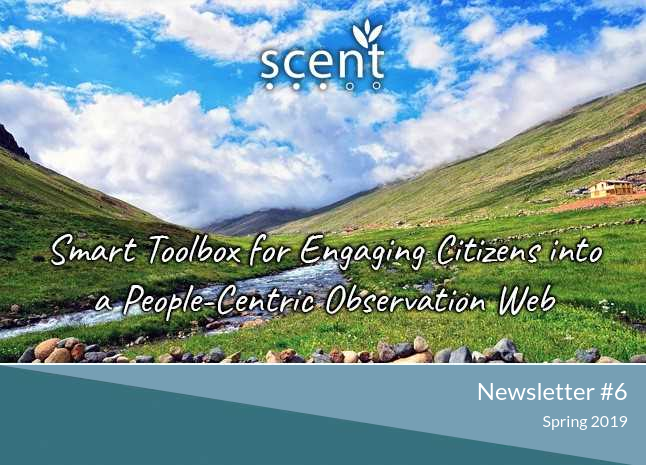 The Scent newsletter delivers regular updates on project progress, key developments, relevant events and ways to get involved, straight to your inbox. It is published four times per year, once every season. Don’t forget to check out our website, follow us on Twitter, Facebook and Instagram, subscribe to our YouTube channel and connect with us on LinkedIn. 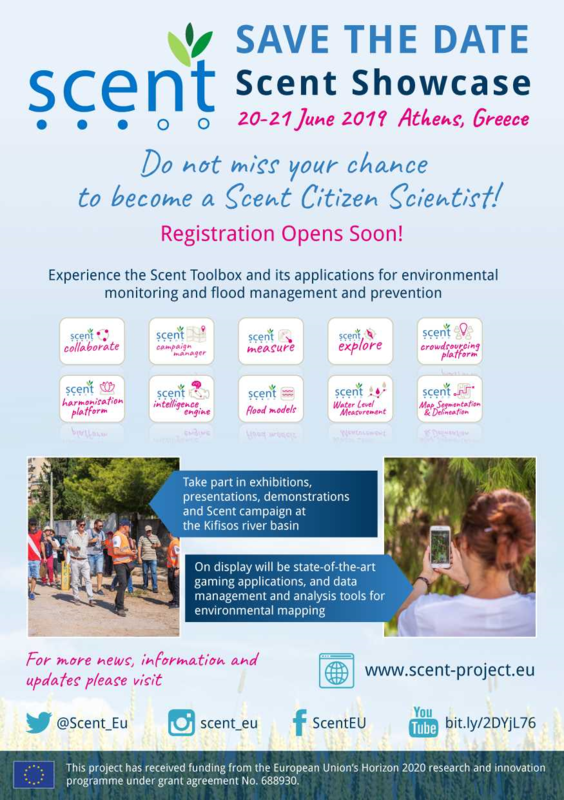 Scent is a three-year project funded by the European Commission under the Horizon 2020, the European Union’s Framework Programme for Research and Innovation. Enjoy reading this newsletter and have a magnifiScent rest of the winter! Have you seen the new communications resources on our website? A range of dissemination material has been added to our site as an Information pack available for you to download and use across your own dissemination activities and channels. The elements included in the pack form a cohesive entity of resources developed to help partners and other stakeholders raise awareness about and interest in the project. They facilitate systematic and effective on-brand communication by stakeholders including citizen led communities, networks and associations. You can browse through the selection of Scent logo variations, graphics, design material and brand guidelines in the Downloads section. You may also be interested in the Scent journal articles, conference abstracts and conference posters published so far. You will find them in the Publications section. 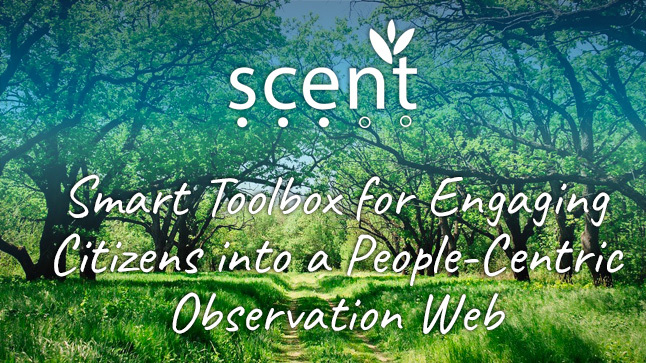 Rising trends in Citizen Science have led to the development of Citizen Observatories (COs) for environmental monitoring, an initiative widely supported by the European Commission under FP7 and H2020. WeObserve is a new H2020 EC-funded project launched on 1st December 2017. The project aims to improve coordination between the currently existing COs as well as to promote related activities at regional, European and international level. 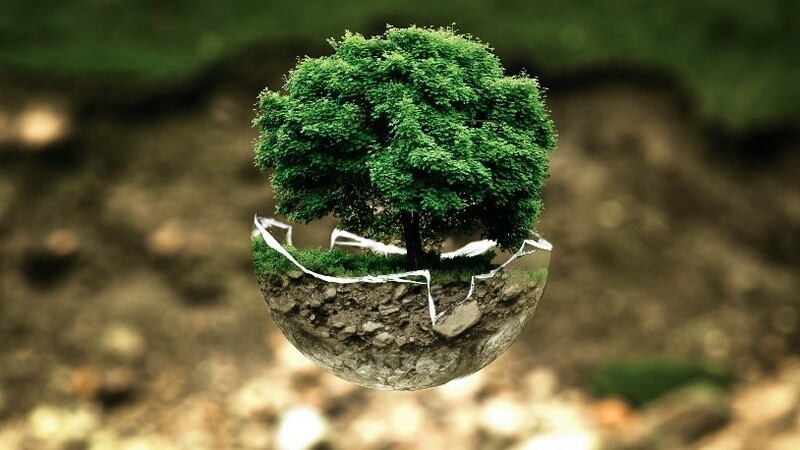 WeObserve is a Coordination and Support Action which tackles three key challenges that COs and community-based environmental initiatives are facing: awareness, acceptability and sustainability. 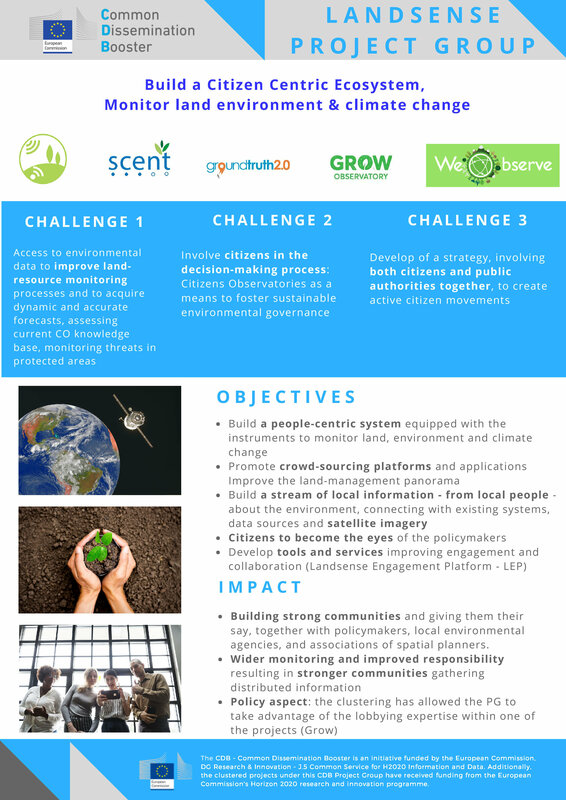 To achieve these objectives, the WeObserve project brings together a strong consortium of 7 partners, built upon the four H2020 CO projects, namely Ground Truth 2.0, GROW, LandSense and Scent, with strong ties to a wide range of networks (ECSA), users and stakeholders, such as GEO and Copernicus and CREAF, which have active roles within the project. Track and monitor the Key Performance Indicators (KPIs) with regards to the Dissemination, Exploitation and Communication plan to maximise the project’s impact, adapting the plan accordingly to respond to KPI progress. 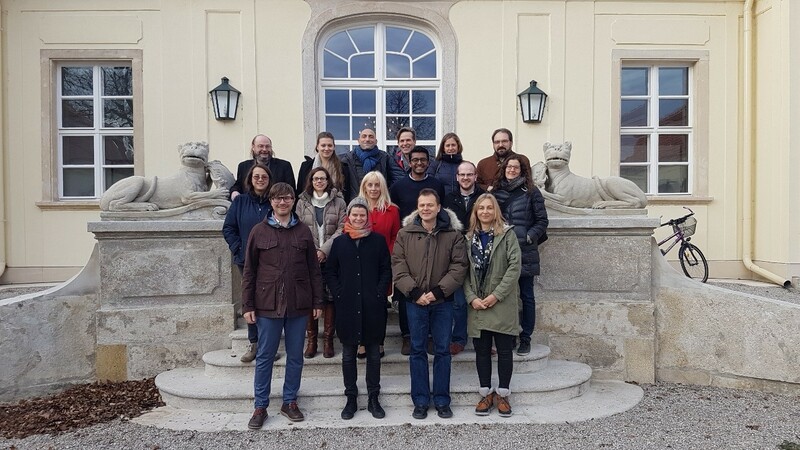 On December 12th – 13th 2017, the project coordinator IIASA hosted the project kickoff meeting with EC presence in Luxemburg, Austria. The key objectives of the meeting included securing partner consensus on the vision, mission and operational plan for WeObserve, as well as defining roles, expectations and the project timeline. Join WeObserve on social media and discover more! The hydrodynamic and hydrological models of Scent are ready. The models are built with available data and without citizen observatories contributions. The models are computational representations of water dynamics in the project’s case studies: the Danube Delta and the Kifisos catchment. The models will be enhanced with crowdsourced data after the Scent field campaigns and the value of citizen contributions will be assessed for the case of floods. In the Danube Delta, specifically in the Sontea-Fortuna pilot area, two hydrodynamic models were set up in order to simulate the complex network of channels and lakes in the area: one 1D model and one 1D/2D model. 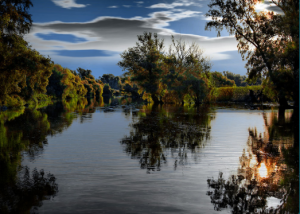 In addition to cross-sectional data in the canals, lake bathymetry and the topography of the 2D areas, it was necessary to define the amount and variation in time of the flow entering and leaving the Danube Delta, as well the roughness of the terrain. The conceptual representations of the models are given in the following figures. What happens to precipitation once it falls? Does it overland terrain impermeability (city-like regions)? Does the groundwater to the discharge? And how long does it take for the water to flow downstream? The area was sub-divided into 21 sub-basins to describe its spatial variability. Elements such as land cover, soil texture and rivers’ length were used in the model. For the hydrodynamic model, a fully 2D model was developed. The models were developed using the USACE HEC-RAS (hydrodynamic) and HEC-HMS (hydrological) software. Several representations of these main models were developed to test different aspects of the case studies and for calibration and validation. Initial work has also been done to define the best pathways for collecting data with citizens during the campaigns, such that collected data is potentially useful to the modelling effort. Next, the work on hydrodynamic and hydrological models will focus on researching techniques to integrate crowdsourced data into flood models and, further on, by doing this integration – hopefully achieving enhanced models. Find us on YouTube! In our latest video, Scent partner Ioana Popescu, Associate Professor of Hydroinformatics at IHE Delft Institute for Water Education describes the institute, the Scent project and the role of the institute in the project. Check out this and our other videos and subscribe to our channel here. We are happy to introduce our inaugural Scent newsletter. The newsletter provides regular updates on project progress and informs you about highlights, relevant events and ways to get involved. This issue is an introductory one; it gives you an overview of the status of Scent and of the close collaboration taking place both internally between Scent partners and externally between Scent and the Citizens’ Observatories sister projects. The newsletter will be published four times per year; one issue per season. Scent Coordinator Dr. Angelos Amditis (ICCS) introducing the Scent Summer 2017 Newsletter. a harmonisation platform consolidating data and adding it to GEOSS as OGC-based observations. Go beyond a research prototype level by clearly fitting and extending evolving market needs through its operational sustainability and complementarity with existing initiatives (e.g. the Geo-wiki). Based on the aforementioned steps, a set of portable and flying sensing devices was proposed. The work package focusing on flooding patterns started with the classical approach of building the models that will represent the flooding behaviour in the two pilot sites of Scent: the Sontea Fortuna area in the Danube Delta in Romania and the Kifisos catchment around Athens in Greece. A 1D/2D hydrodynamic model of the whole pilot area. Modelling of the second pilot area just started and a synthetic rainfall event is now considered for the hydrological model of the Kifisos catchment. The next steps will include testing the model with real rainfall. All three models were calibrated for discharge measurements during dry periods and results identified the time and location of stagnant water in some of the canals in the pilot area. Currently the modelling work focuses on validation and flooding patterns for the wet periods. The Scent consortium gathered for its second plenary meeting in Rome 14-15 June 2017. The two-day plenary was attended by 24 partners representing all 10 partner organisations. The agenda covered the progress made since the first plenary in Dublin in February and the current status of the key active tasks. The schedule allowed for informative presentations, interactive workshops as well as bilateral discussions between partners. The plenary successfully brought the entire consortium up to date with the status of the project, the main developments over the last few months and the plan for the summer and autumn. 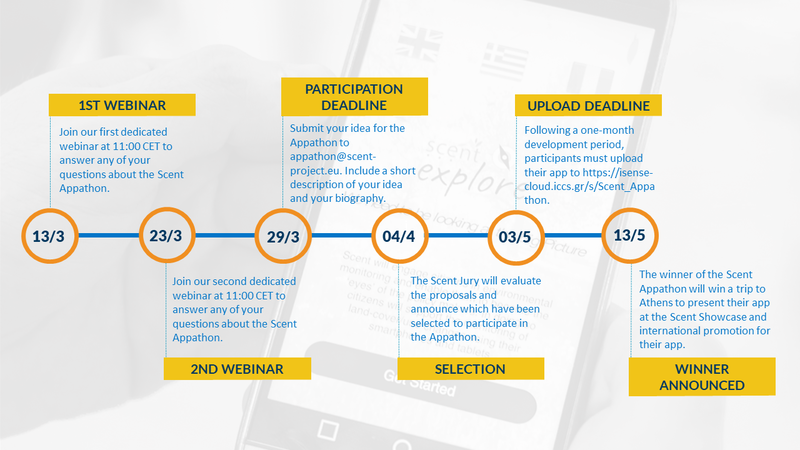 The Scent toolbox requirements and architecture were presented and the work done and the next steps on incentivising citizens’ participation in Scent were outlined. The innovative and portable sensors, drones and software solutions to be used in Scent were introduced and the development of the Scent crowd-sourcing platform was described. The progress of the work on the Scent Intelligence engine, including the collection of annotated images, was discussed in detail. The status and the future plans regarding the Scent hydrological and hydrodynamic models were also brought to light. The communication, dissemination and exploitation efforts designed to ensure impact were presented. In addition, a brainstorming session was organised to kick off the preparation of the pilot activities. Thanks to Rovigo-based XTeam, the meeting was excellently organised, it ran smoothly and all partners were pleased with their stay in the Italian capital. 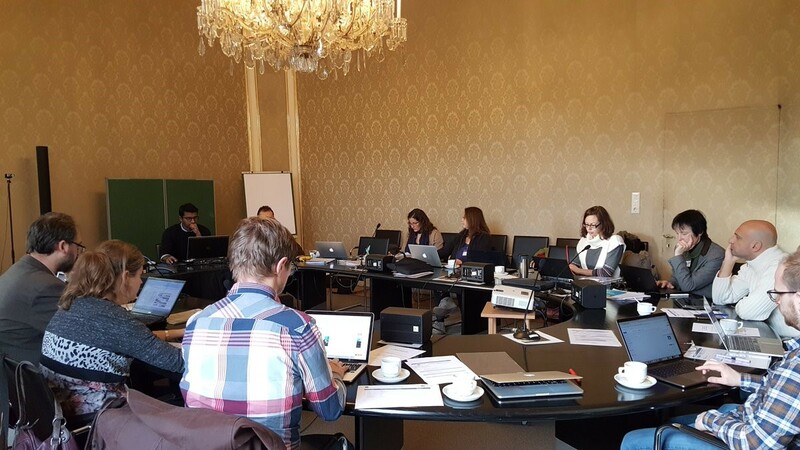 The close collaboration between partners will continue online until the next face-to-face meeting in Delft in autumn 2017. One of the contributions of Scent is to add data to Earth Observation systems such as GEOSS, with an overarching objective of improving the monitoring of changes in the environment, in particular in relation to land use. To this end, the latest European GEO Workshop EuroGEOSS: shaping the European contribution to GEOSS held 19th-21st June 2017 in Helsinki was an invaluable opportunity to learn of the impact that contributions to GEOSS have had on policy making and on livelihoods across Europe. The opportunity to network with fellow citizens’ observatories (CO) projects and to collaborate to produce helpful discussions about the value of citizen data in GEOSS was immensely valuable as well. 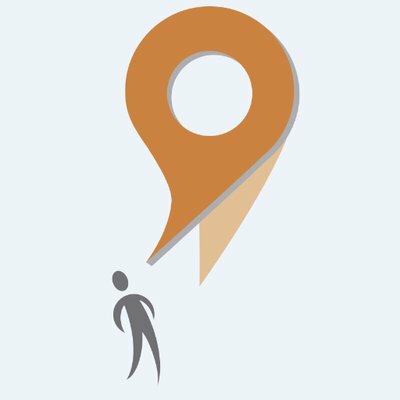 What is GEOSS? GEOSS (Global Earth Observation System of Systems) brings together earth observation systems from across the world, increasing understanding of earth processes and access to information and data to a range of users. 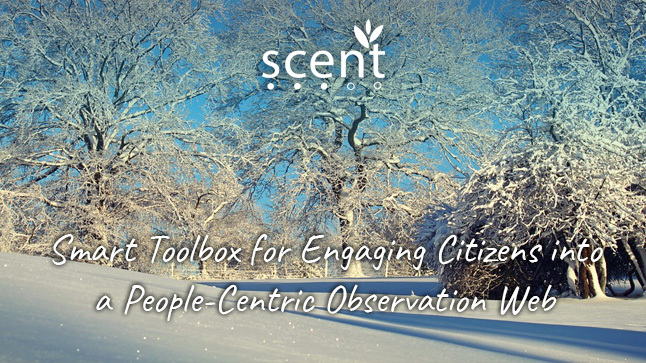 In Scent, the data that citizens generate for example by playing games and annotating images will be processes by the Scent toolbox, from which it will made available to GEOSS. Scientists and policy makers will then be able to access it and use it to shape better land-use management policies. Scent was represented at the workshop by partners from ICCS and Carr Communications collaborating with fellow CO projects: LandSense, GroundTruth2.0 and Grow Observatory. Scent Coordinator Athanasia Tsertou chaired a session on citizens’ observatories and harmonisation of citizen-generated data. She spoke about best practices and challenges in data harmonisation from the perspective of Scent, where the citizen-generated data will be used to enhance land-cover and land-use monitoring processes. Also relevant to Scent was a discussion surrounding the need for acceptance and quality of citizen data, such as implementing “Seven pillars of quality” in data collection and ensuring citizens have clarity on their tasks to ensure the best data is collected. Communications experts in Scent, Linda Henriksson and Amy Hume from Carr Communications collaborated with other COs investigating the secrets to engaging citizens. Engagement is integral to citizens’ observatories and should not be seen as an additional activity or after thought. The discussion highlighted the importance of feedback to users, using social media to create connections between users and communities and the valuable contribution that citizens can make to cover data gaps. Overall it was a fascinating couple of days, which garnered a fuller appreciation of the importance of citizens’ observatories and the importance of contributing to GEOSS. We enjoyed getting to know our colleagues from LandSense, Groundtruth2.0 and Grow Observatory and look forward to future collaborations at similar events. As digital technologies and the Internet change rapidly, new opportunities present themselves to address some of society’s biggest challenges. Across Europe, people are exploring these opportunities, such as creating digital platforms and social networks for people with chronic health conditions, and developing online communities, where citizens can map and share data on pollution levels and climate change in their areas. Representatives of CAPS EU-funded projects and relevant DSI (Digital Social Innovation) initiatives met in Rimini, Italy to capture views and contributions on the priorities to set out in the Manifesto for Digital Social Innovation in Europe. 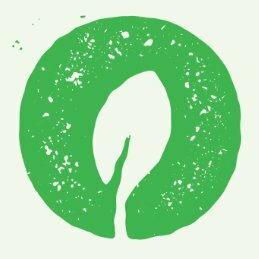 CAPS is an EU initiative for designing and putting into motion online platforms for raising awareness about sustainability, an area requiring creative solutions from across Europe. DSI initiatives develop digital solutions to social challenges. A new platform funded by the EU, DSI4EU, has been developed for consolidating the networks of digital projects across Europe tackling social obstacles. The manifesto sets out the opportunities and challenges for DSI, and defines the measures needed to maximise success and explores the best practices in social innovation processes. DSI has the potential to contribute to tackling the most important challenges facing Europe today, however most DSI initiatives still operate at a relatively small scale. The DSI Manifesto will contribute to understanding how social innovation processes can be reinforced, transferred and reused for effective scaling up of social innovation initiatives. Contributing to the DSI community with key learnings from the design, deployment and running of COs with regard to user engagement strategies and enabling supportive ICT tools and platforms. Daniele and Andrea were active in discussions on the topics of “Collective intelligence: adoption, interoperability, real needs of online communities, motivation, open data and privacy standards” and “From the Internet of Things to the Internet of Communities”. Daniele and Andrea were active participants in the discussions, engaging in meaningful dialogues with institutions across Europe. It was clear from the discussions that, while not a formal DSI member, Scent shares many features with other DSI initiatives. An ongoing knowledge and best-practice exchange will therefore be mutually beneficial and open up exciting opportunities for future collaborations. Happy autumn! This is the second issue of the Scent newsletter. The Autumn 2017 issue includes recent highlights and focuses on one topic in particular: drones. It introduces you to unmanned aerial vehicles in general, to their role in Scent and to their revolutionary potential in various fields. The Scent newsletter delivers regular updates on project progress, key developments, relevant events and ways to get involved, straight to your inbox. It is published four times per year, once every season. Don’t forget to check out our website and follow us on Twitter, Facebook and YouTube. Enjoy reading this newsletter and have a lovely autumn! We all know the great benefits and potential of crowd-sourced observations for monitoring environmental issues. What is also true is that the power, benefits as well as limitations of citizen science based data is still being researched, while methods are being investigated for determining the data quality of observations or inversely, the data uncertainties. 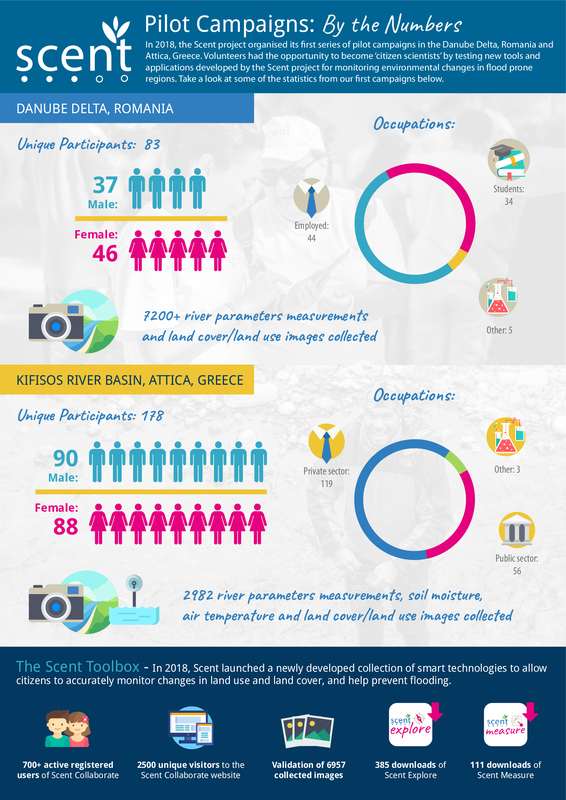 When investigating the existing systems deployed across our Greek pilot site, the Kifisos river in Attica, Greece, we were amazed by the fact that – besides weather stations – there were no monitoring systems installed by any authority or organisation. Thus, the partnership and the Greek pilot cluster team decided to install a few in-situ sensors at dedicated points within the river flow in order to have these as benchmarking points so as to calibrate and validate the citizens’ observations. During the week 25-29 September 2017, the ICCS team, coordinated by Dr Antreas Kallioras, installed five in-situ sensors measuring the water level in the river: three of them were piezoelectric sensors (LEV 1 model) and two were radar-based (Radar RLS). The latter were installed close to bridges were the river flow is fairly a straight line for some tens of meters, a prerequisite for getting valid information. The team faced several challenges, including constraints to access the bridge while traffic was flowing and to ensure that the sensors are not visible and thus vulnerable to damage or theft. 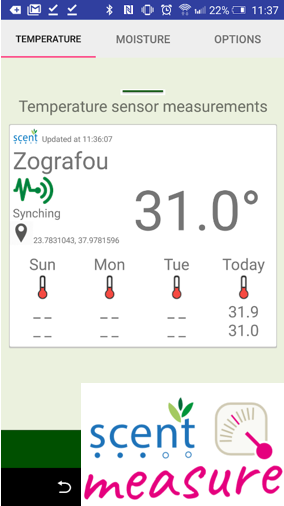 The sensors have embedded data-loggers where data is already being logged, while later this autumn, 3G cards will be installed for allowing back-end connectivity with the Scent harmonisation platform and also remote configuration. The ICCS team had to hurry to make the installations before the wet season starts, in order to use data collected also for flood models data calibration. Stay tuned for our followup articles with the first insights on data patterns and comparisons with crowd-sourced observations in the next semester! Scent had a dynamic presence at GEO Week 2017, held in Washington, D.C. on 23rd-27th October 2017. The event included the 14th Plenary Session of the Group on Earth Observations (GEO), an exhibition as well as a number of side events. Scent participated with both a poster in the EU booth and a presentation at the side event “The role of Citizen Observatories and Crowdsourcing Community in GEOSS”. Lightning talks were given by Scent and fellow CO projects Humanitarian OpenStreetMap, GEO BON, Ground Truth 2.0 and LandSense. A discussion session was also held on the subject of “Tools, Best Practices, and Standards for Utilizing Citizen Science for GEOSS”. The dominant subject in the discussion was the balance between the respect of the citizen’s privacy and the reuse/repurpose of the data. The different regulations between countries, the lack of licensing and documentation of collected datasets, the need to notify contributors in cases of reuse of data as well as the participation of minors in data collection were among the raised concerns. Furthermore, it was discussed that the Data Quality (DQ) Control needed for crowdsourced data is not that different to the DQ control needed when publishing scientific data. It was agreed that there are best practices in place that ensure high DQ and that most projects are making great efforts to take the practices into consideration. What is still missing is the appropriate documentation to show how each project incorporates them and their efficiency. In addition, the issue of user engagement was discussed. It has now been established that in order to engage citizens and to get them to make continuous contributions, there must be some recognition of their efforts. People want something in return for their contributions. The most meaningful way to recognise their contributions is to make the contributions part of the established policies. This raises the need to train the policy makers to let go of some of their control, listen to the citizens and incorporate some of their proposals. Last but not least, the issue about whether something really belongs to Citizen Science and whether it should be open and accessible to all was discussed. Concerns were raised about the fact that Citizen Science is introduced to many scientific areas where it might not be fit for purpose. What is more, while it was recognised that the value of Citizen Science lies within the opportunity to reuse and compare collected data, it was mentioned that some data should not be made easily accessible. Making the locations of endangered species available in real time and thus easily located by hunters was the example given to support this view. In conclusion, it has become obvious that the exponential growth in the use of Citizen Science has brought the GEO community to a critical point where proper standards and best practices should be established in order to support the growth and the community. As the Scent pilot activities are being planned, we are interested in drones and in their role in the pilots. We turn to Dr Paolo Paron, Senior Lecturer in the Department of Water Science and Engineering at IHE Delft Institute for Water Education based in Delft, the Netherlands. Paolo is a drone expert with significant experience in the field. This article focuses on Paolo’s insights into the world of drones and their use in Scent, and the importance of citizens’ contributions. First, a few words about Paolo. Introducing Paolo | Paolo is a trained geologist with an MSc degree in Geology and a PhD in Fluvial Geomorphology from the University of Rome, Italy. He has also been a long-term visiting researcher at the Department of Geography of the University of Oxford, UK, and has worked with Charles Darwin University in the Northern Territory in Australia. Paolo joined IHE Delft in 2011. He is part of the Hydraulic Engineering and River Basin Development chair group within the institute’s Department of Water Science and Engineering. His core areas of expertise are Earth Science and Remote Sensing. Before joining IHE Delft, Paolo worked as a consultant for the United Nations and other organisations in Kenya where he lived for six years. Paolo’s educational background is thus in geology, but he has also built on his expertise in the field of remote sensing continuously for a number of years. In his role as a senior lecturer at IHE Delft, Paolo is able to combine these two areas. From kites to drones | When Paolo arrived at IHE Delft in 2011, he started to use kites for aerial photography along the windy Dutch coastline. By walking along the coast flying a kite with a camera attached to it, he photographed and mapped changes in the local dunes. About four years ago, Paolo started to use unmanned aerial vehicles (UAVs), commonly known as drones, instead of kites. He has since been following the rapid development of the drone industry closely and acquired first-hand experience of using different models of drones and of practicing various techniques. The rise of the drone | Drones became a widely available commercial product and a trending Christmas present a couple of years ago. The mainstreaming of drones has helped to shake off the primarily military connotation which used to be associated with the name. The development of the commercial drone business for all civil applications, recreational and professional, has led to people not associating the name with military use anymore. The software: most modern drones, especially the commercial ones, are now guided by an app that one can download to a tablet or phone. Thanks to recent software developments, safety aspects have improved significantly. Before modern apps were introduced, people flew drones using very basic apps with no safety measures embedded. Before that, when there were no apps at all, people used only a remote control and a small monitor indicating where the drones were flying. Today’s safety measures are based on a combination of advanced software and hardware components in the drones themselves. The latest versions are very user friendly and the commands and controls of the user interfaces (UIs) are clear and intuitive. In the past, a drone operator needed a lot of prior knowledge before flying a drone. Today the UI icons, terms, camera settings and the displayed flying path are so intuitive that even a first-time recreational drone flyer can manage them without needing to worry about crashing or losing the drone. Drones at IHE Delft | IHE Delft has three in-house multirotor drones. Two of them are commercial models (DJI Phantom 3 Pro and 4 Pro) and one is a professional model (a Cortex octocopter by CopterSquad). In addition, the institute has one fixed-wing model drone (a twin engine Explorer model by Bormatech), the shape of which resembles a plane, and one more drone (DJI Phantom 4 Advanced) brought in by a colleague entering the field, which brings IHE Delft’s total number of drones up to five. Drone usage | When asked about what they think drones are used for outside the military context, most people will say aerial photography and videography for recreational purposes. Taking photos and filming videos using low-flying drones have indeed become very popular and enable you to capture more refined details and small objects in high resolution than using planes or satellites for the same purpose. Cameras mounted on drones nowadays tend to use the latest 4k technology, allowing for the high-quality footage to be used for both recreational and professional purposes. 4k refers to the number of pixels per frame and is an expression of the resolution of images and videos, also used in the TV industry. The next generation technology, 6k, is currently only found in the latest models of video cameras for professionals, but already advertised for some drone types. Thanks to the rapid evolution of the miniaturisation of hardware, 6k is expected to be available also in commercial drones soon (see, for example, the latest camera developed for drones, the DJI Zenmuse X7). Drone applications are, however, by no means limited to photography and filming. Drones are constantly adapted for new, innovative areas of application, some better known than others. The big driver of the development of the drone industry is agriculture – more specifically precision agriculture. More and more farmers with large-scale farms in both Western and developing countries request the services of drone operators. They hire drone operators to fly drones over their cultivated lands, for example in order to identify areas in which their crops don’t grow properly. The reasons may be linked to different factors related to nutrients in the soil, irrigation heterogeneity, differences in fertiliser distribution etc. Providing farmers with a map telling them where their crops don’t grow properly allows them to go out in the field with a tractor and fertilise only those specific areas or change their irrigation schemes according to their needs. Some estimates suggest that 100,000 jobs will be created in the drone industry in agriculture in the US alone by 2020. The application of drones into precision agriculture is estimated to grow to a business of approx. $80 billion by the same year (source: Aviation Week). A widespread drone usage that goes beyond precision farming is deriving digital elevation models (DEMs), i.e. digital representations of the topography of the area that a drone is flying over. DEMs are very valuable for the professional industry and various other fields in that they allow for surveying, monitoring and mapping changes in the topography, the vegetation and the landscape in general. By repeating a flight over a certain area over a period of time, it is possible to identify changes taking place in a particular area. In Scent, drones will play a central role in two types of activities in the planned large-scale demonstrations. These activities, flood modelling and monitoring land cover changes, will be described in the following. We will fly drones over flooded areas and map out the extent of the flood waters. The aim is to fly over a flooded area soon after a flood event. As drones always carry a GPS, we will know the exact location of every single image that is taken. We can decide on a relevant flight path and programme the drone to fly over a particular stretch in order to be able to measure the extent of the flood waters along that stretch. We will also fly drones over predefined stretches during the dry season in order to derive digital elevation models. We want to use high resolution DEM models as input for flood modelling. To create flood models, you need both the amount of water flowing the river and the accurate topography of the flood plain, which is what the DEM provides. We will fly drones over certain predefined areas and stitch together all the photos taken to form one large and detailed picture (an orthomosaic) of the area we fly over. By flying over the same areas repeatedly over the course of the project we will be able to accurately map the changes in land cover, whether they are natural or result from human interference. If there has been a flood, we will see the consequences of it, i.e. the impact on the crops, the natural vegetation, the infrastructure etc. in the area. Safety first | The drones that both the citizen scientists and the researchers will be using in the Scent pilots are commercial ones. All safety measures are already in place in the software of commercial drones, and both researchers and citizen scientists can use them without risking to cause damage to themselves or to third parties. Volunteers can join the Scent movement without needing to be experienced in the use of drones. Challenges in the pilot areas | The Scent activities will focus on two very different areas: the Danube Delta in Romania and the Kifisos in Greece. The challenges involved in each area are also very different, and we will address them through careful planning and preparation. The Danube Delta, the second largest river Delta in Europe, is challenging as a pilot area because of its sheer size and limited accessibility. Its immense surface area stretches over thousands of square kilometres and is largely out of the range of drones. To cope with this interesting challenge, we decided to focus on a small area of interest rather than on the entire Delta. We will be able to access this area by boat only, a challenge we are looking forward to facing. When using drones in the area, we need to keep their limited battery life in mind. On days with no wind, we normally fly for 25-30 minutes at a time. In order to be able to cover a large area, we will carry several batteries, split the flying area in different portions and fly with many batteries. The Danube Delta pilot will start in summer 2018. In the Kifisos area, we face two main challenges. One of them is related to the topography and the other one to the urban nature of the area. Because the area is a mountain basin, we need to plan the drone flight path carefully in order not to interfere with mountains or other high-rise obstacles. The area being largely urban means that electromagnetic disturbances need to be taken into account before flying drones over it. Flying over urban areas is always challenging as drones are connected to a remote control in the tablet or phone via a radio link, and urban areas always have telephone antennae and other electromagnetic disturbances that can interfere with the signal. Before the start of the Kifisos pilot in autumn 2018, we will assess these issues and determine up to where it is safe to fly. These are the main challenges that we have identified so far. As with pilot studies in general, it is possible that unforeseen challenges arise once we are out in the field. If we make unexpected discoveries that may have a knock-on effect on our plans, we will be prepared to address new, interesting challenges. Your input is extremely important. Everyone can be a citizen scientist. The biggest advantage of drones in environmental studies is that it is possible to fly them at almost any time. The more observations we gather over time, the better we will understand the natural and anthropic changes taking place in our environment. We can then further use these changes in our models. The number of times the Scent partners will be able to go out in the field and work on the flying campaigns is limited. 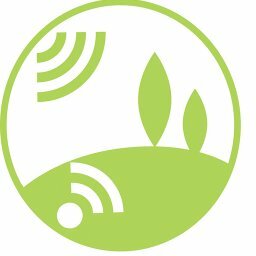 When you as a citizen scientist contribute by uploading your own images and videos, we can use them to augment the frequency of observations of the landscapes around us. As a citizen scientist, you will also be able to observe and capture things that the researchers won’t. Your input is therefore very valuable. We are currently designing an app for you to use to upload your own images and observations that will then be compared to images taken by others. You will receive training before starting. Stay tuned for more details. Join the Scent movement today! Subscribe to our newsletter to receive the latest news in your inbox. For regular project updates, visit our website and follow us on Twitter, Facebook and YouTube. Drones are continuously being introduced in new, interesting fields of research, which reflects the immense potential of drones in different areas of study. Paolo is currently supervising students conducting research involving mapping of cultural values of ecosystems in the wetlands along the Zambezi river in Zambia. Three students cooperate through their work in the field and complement each other’s research. One student focuses on the hydrology of the area, the second on the changes in vegetation and the use of vegetation by the local population, and the third on the cultural values of the local ecosystems through interviews with locals and participatory mapping in focus groups. These observations will be coupled with drone footage from the same areas for increased detail and accuracy. 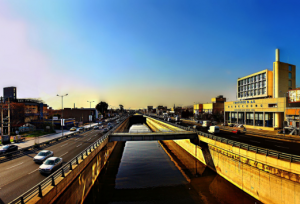 An example of the potential of drone use in development work is linked to water quality in urban areas. Paolo is involved in a project in Mozambique where samples of water have been collected in several low-income urban slums and drone footage of the same areas has been captured to correlate type of housing, a proxy for livelihood, with the quality of water. This is the first time that very detailed drone imagery is linked to a study of water quality and it is already providing very exciting results. Drone regulations | Europe has experienced different phases of regulation of drone use. At the beginning, there was no regulation. When regulations were introduced, they were first extremely restrictive, and they have now been relaxed in most countries. The use drones for recreational purposes outside urban areas generally doesn’t require a permit anymore, but the rules still vary from country to country, and one therefore always needs to check the latest applicable rules in the relevant country. A European Commission expert group has been established to develop and implement an EU drone policy, but no harmonised rules have been introduced at European level yet. In Scent, we need to monitor the Romanian and Greek regulations closely in order to be sure we comply with the applicable rules in these pilot countries.